So...this week has been CRAZY! 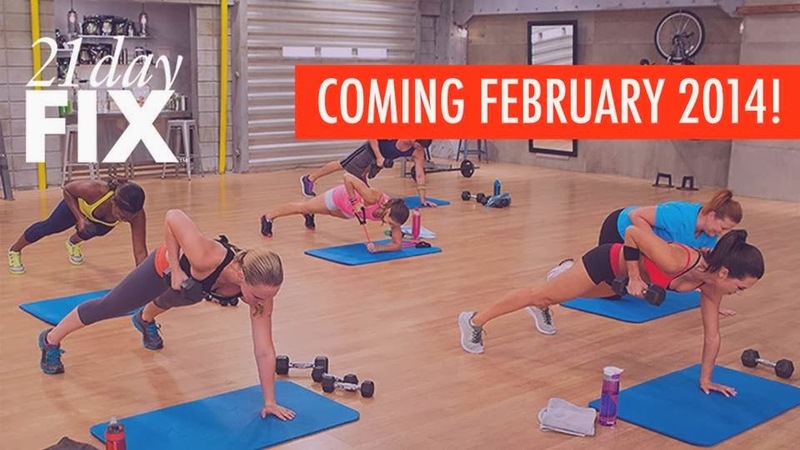 Did you get your hands on the new 21 Day Fix program? It sold out like crazy. I heard around the business that they sold more in 8 hours than they thought they would sell in three months. Congrats to all of you that got your hands on this hot new product. If you were lucky enough to get it ordered and into one of our test groups look for an email soon. They should be shipping out and we can get our test groups on their way! I absolutely can not wait to join you in testing out this program. We will definitely be reporting our results here. However, since some of you may not have gotten your hands on the 21 Day Fix this round we have another amazing treat coming your way. The FourFitSisters are hosting our first ever group challenge. This means, all four sisters will be hosting TOGETHER!! WooHoo. We have combined our past experiences and our favorite parts of our normal 30 day challenge groups to a wonderful 30 day program that will get you lean in body, and long in life. Our whole goal is to get you to a healthy stage where you can make real differences and extend the time you have on this planet. We are launching our first ever "Lean Your Body & Lengthen Your Life" Challenge. To keep it simple we are limiting it to our favorite workouts: Les Mills PUMP, Turbofire, P90X3 & Focus T25. These are our workouts of choice for this challenge. 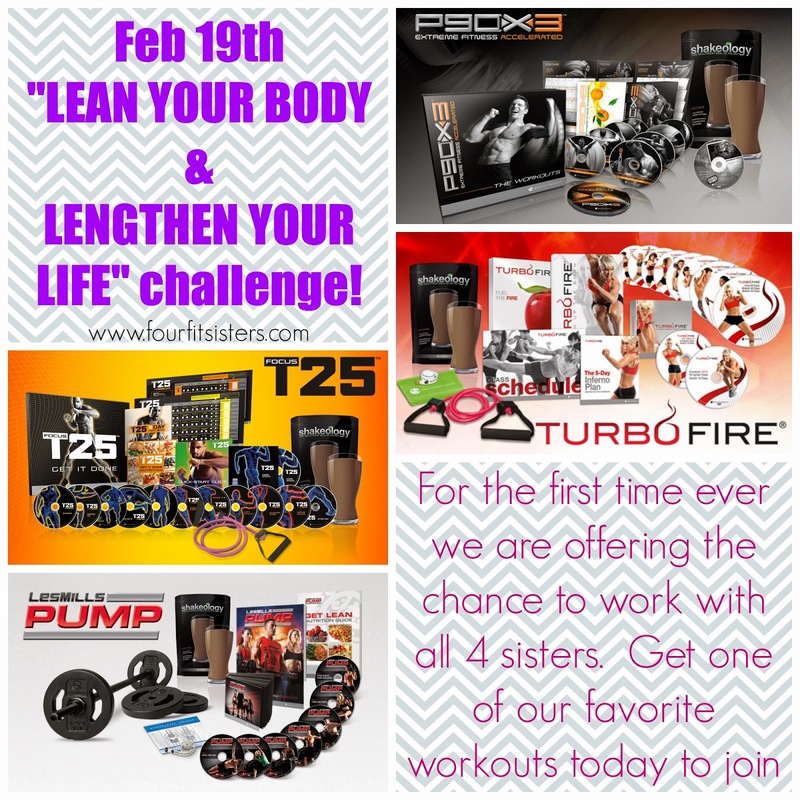 So if you have been waiting for the perfect time to join a challenge this is it!! Contact one of the sisters today to get signed up. Spring Break is JUST around the corner!! Let us help you get into your favorite jeans before the warm weather hits!